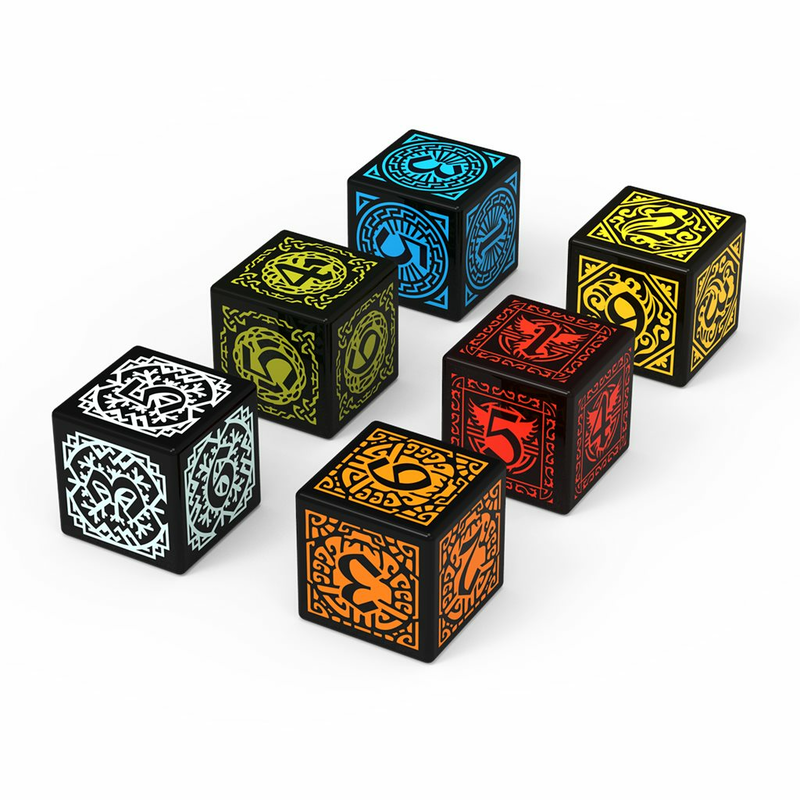 Those are 6 high quality 16 mm engraved dice in six custom designs, for the Bärfolk, the Cloudborn, the Emberians, the Islanders, the Wolfsclan and the Sunblessed factions from the basic game & the BIG!Expansion. 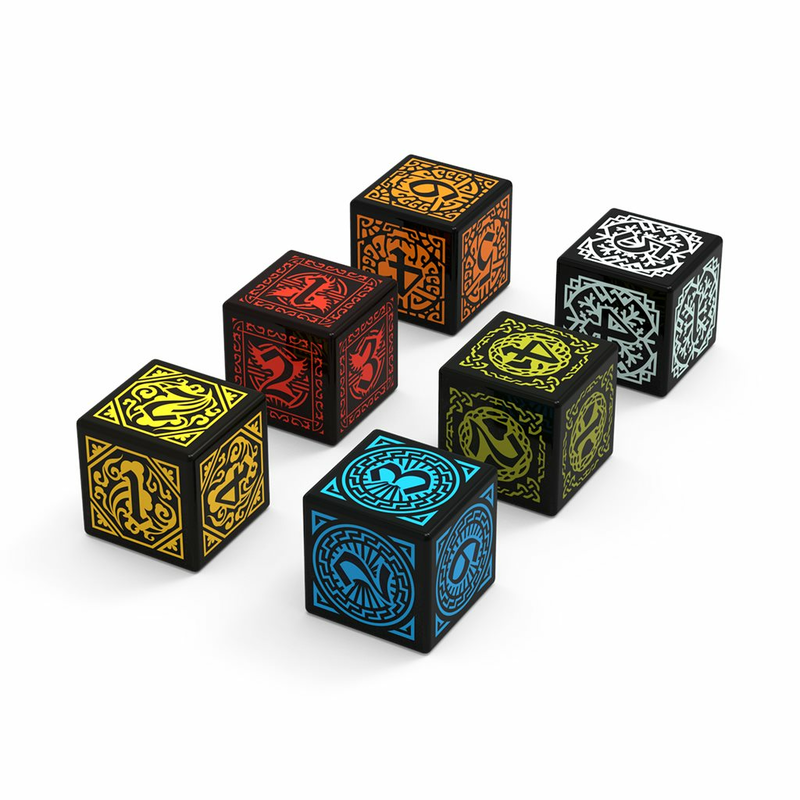 Attention: This set is available for new backers in the Combo pledge or for those who never backed our dice sets before. 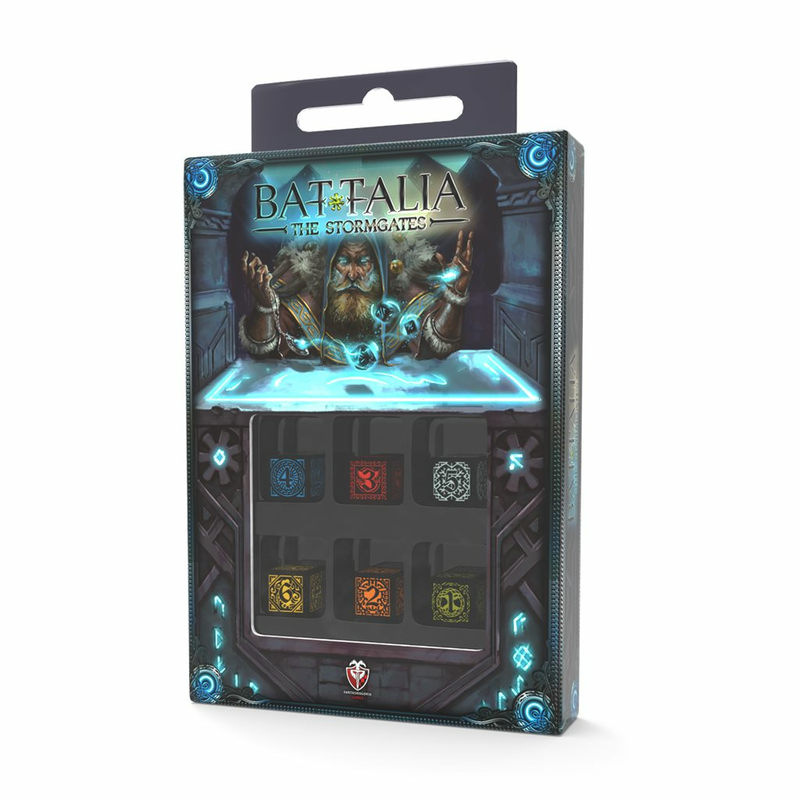 It will be difficult to acquire them at retail! 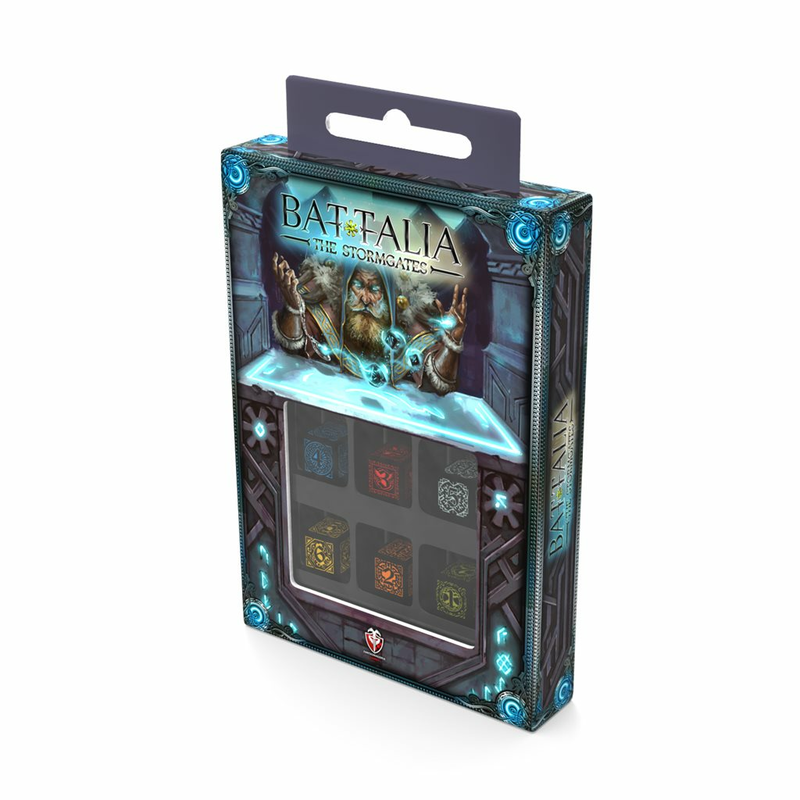 In general dice are not essential for the gameplay in the world of Battalia, especially in the basic game, where they play only a side role and have mainly a collector's value. 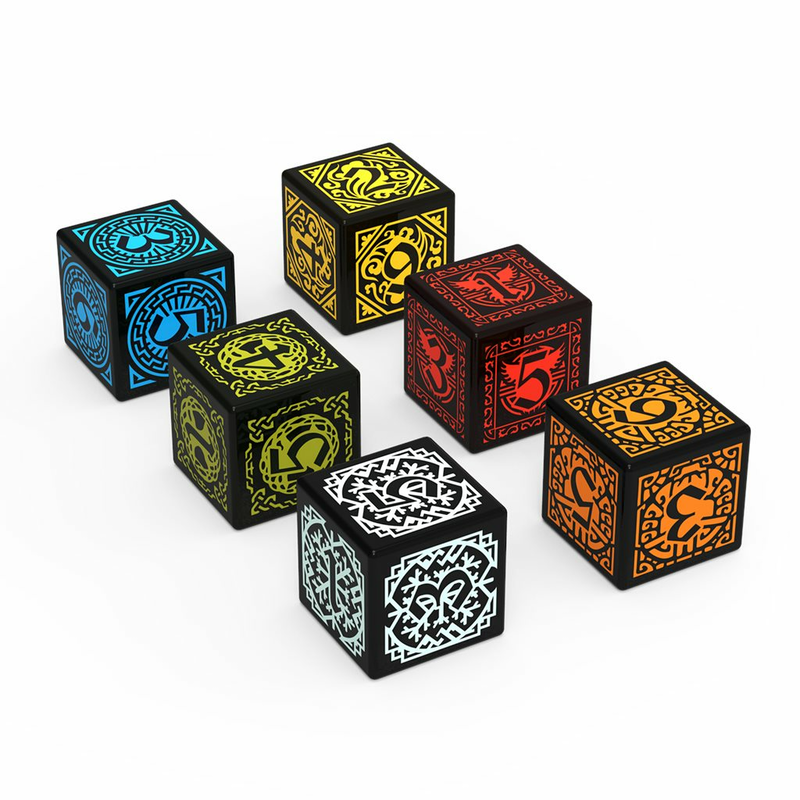 BUT with the upcoming expansion their role increases dramatically, especially when you use some of the NPCs, so we highly recommend for players convenience to use the faction dice, so every player should have his own die in front of him in his play area, which is not meaningless on the bigger table and makes a lot of random choices much more easier. 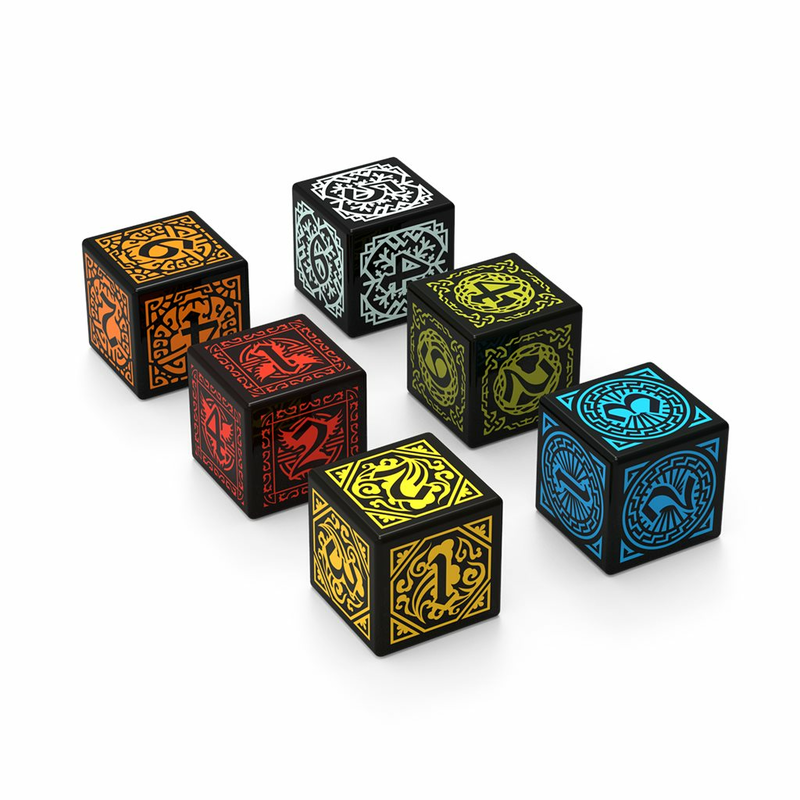 Those special collector's edition dice are produced at the Q-workshop factory in the EU - one of the best and worldwide famous producer for customized dice .